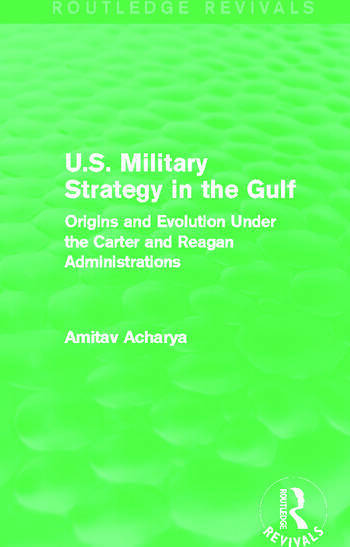 First published in 1989, this title explores the nature and dimensions of the U.S. strategy in the Gulf in the formative years that followed the fall of the Shah, the Soviet invasion of Afghanistan and the outbreak of the Iran-Iraq war. It describes the formation of the U.S. Rapid Deployment Joint Task Force and the U.S. Central Command, their force structure and the network of U.S. bases and facilities in the region. The role of pro-Western countries in the wider region, in particular Pakistan, Egypt, Jordan, and Israel, in the formulation of strategy is discussed in detail, along with a more general assessment of the achievements and failures of U.S. strategy in the Gulf towards the end of the 1980s. In light of the persistent struggle for peace within the Middle East, this is a timely reissue, which will be of great interest to students researching U.S. military strategy over the past thirty years.